Our service range includes a wide range of frosted film. frosted film is ultimate cost effective answer to make glass buff or frosted. 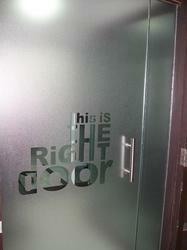 We provide various quality & designs of frosted film.